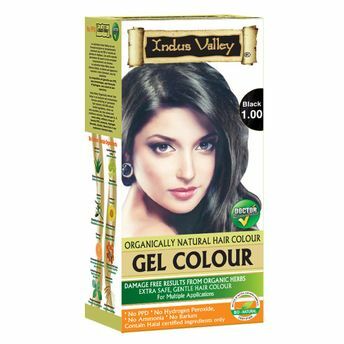 Indus Valley Black Gel Color is the composition of 8 natural herbs which gives natural black color while helps in preventing the hair problems like split ends, dandruff, hair fall. Indus Valley Gel Color is the 1st hair colour in the world with the PHAB free technology. Natural herbs like Henna, jojoba oil, Sunflower not only gives you color but also prevent UV protection, antidandruff and also nourishes hair scalp with the fragrance of orange etc. Alternatively, you can also find many more products from the Indus Valley Organically Natural Hair Color range.